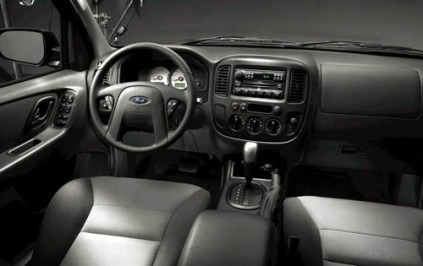 Includes Ford MACH AM/FM 320-watt stereo with Audiophile 6-disc in-dash CD changer and 7 speakers including subwoofer. Required on units for California, Maine, Massachusetts, New York, and Vermont registration. Optional for Cross Border States (Arizona, Connecticut, Nevada, New Hampshire, New Jersey, Oregon, Pennsylvania, and Rhode Island). Required on units ordered by dealers for California Emissions States registrations when the vehicles are being delivered to non-California Emissions, non-Cross Border States locations. Also requires 422 California Emissions System. Includes retractable cargo area cover and cargo area storage bin. 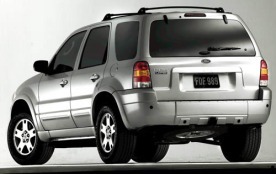 Includes side curtain air bags with rollover sensor and front side airbags. Includes black leather wrapped steering wheel, front and rear leather trimmed seats with map pockets behind driver and passenger seat, and 6-way power driver seat. Includes power sliding glass moonroof with manual sun shade and mini overhead console with maplights. Includes control codes for units either shipped to California Emissions States dealers or ordered by California Emissions States dealers for registration in non-California States locations. Includes 3500 lbs. towing capacity with trailer hitch receiver and wiring harness with 4-pin connector.